• KPT can deliver a high-quality and user-friendly website that invites use. KPT will work with you through the creative, content development, photography, and graphic design to ensure you have an original website that meets your needs. • Plan out your IT roadmap so that you can make the right purchasing decisions today, tommorrow and 3 years down the road. • With experience in healthcare and finance we can help you make sure your are in compliance with the latest government regulations. • We can assist in Sarbanes-Oxley, HIPAA, and software licensing compliance. • Using both Microsoft and VMware technologies, KPT can help you feel the benefits of virtualization from the desktop to the data center. • Utilizing Microsoft Office SharePoint, KPT can show you how to work in a true ‘virtual office’. • Utilizing a number of industry tools, KPT can help your company save on travel and conferencing expenses. • Utilizing both Microsoft and IBM e-mail capabilities, KPT can help you establish new servers, upgrade existing environments or convert to new platforms. • Whether it is for desktops, laptops or servers, let KPT develop the process with the latest technology to deploy your images, standard builds, patches or latest version of software. • When it is time for a hardware (laptop, desktop or in the data center) refresh, KPT will bring the tools and people to the project to deliver high quality results. 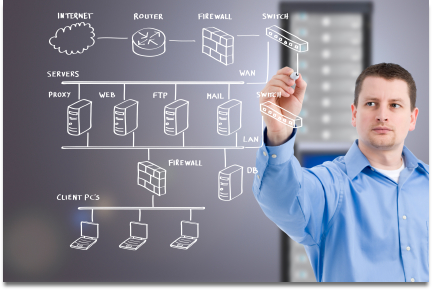 • Utilizing industry best business practices leveraging ITIL standards, KPT can help with new data center builds, data center moves and/or re-configurations, and overall data center management. • KPT partners with tier 2, 3 and 4 data centers in central Ohio, as well as across the country. When it comes time to move an application or environment offsite, KPT can bring the expertise to ensure smooth migration, uptime and stability.